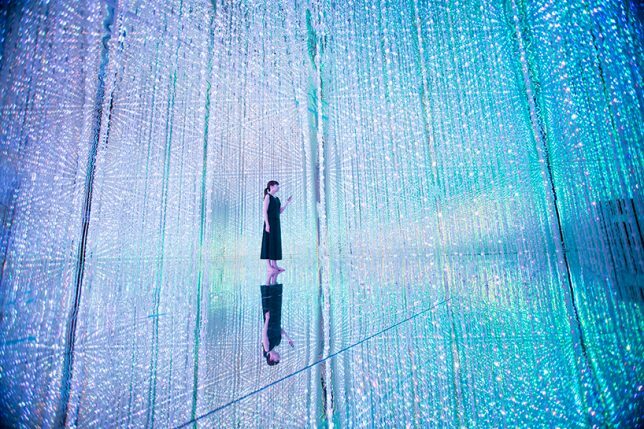 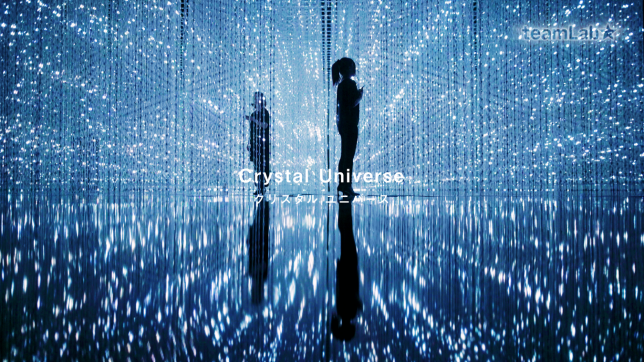 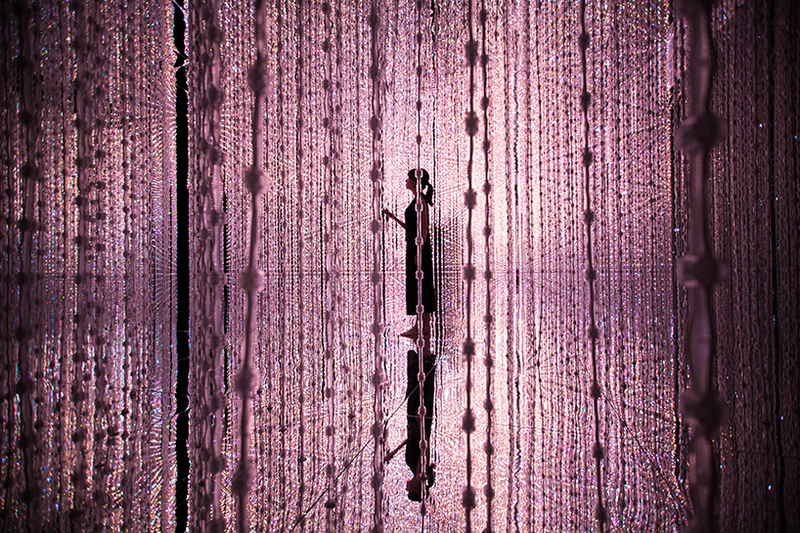 As you walk through the three-dimensional light space, your movement affects the light particles, creating changes in the installation. 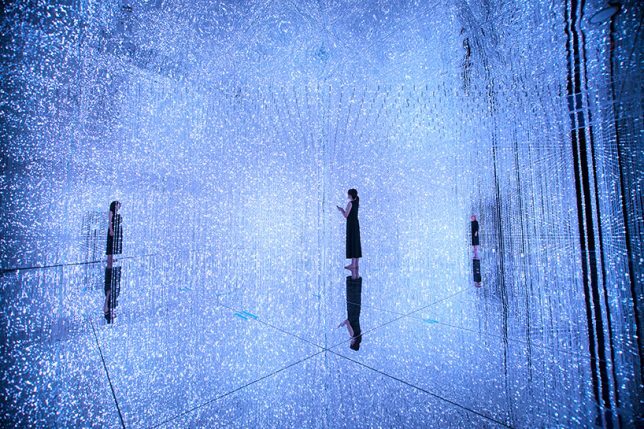 Each person’s action or change affects the way everyone present experiences the space. 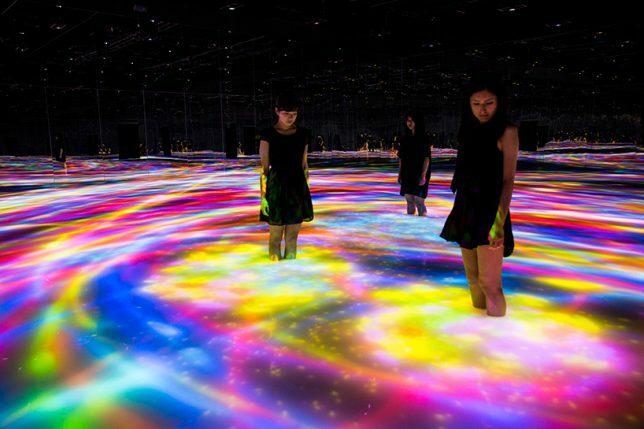 The lights are constantly moving and shimmering, going dark to mimic the effect of floating in space and then shifting into new color palettes. 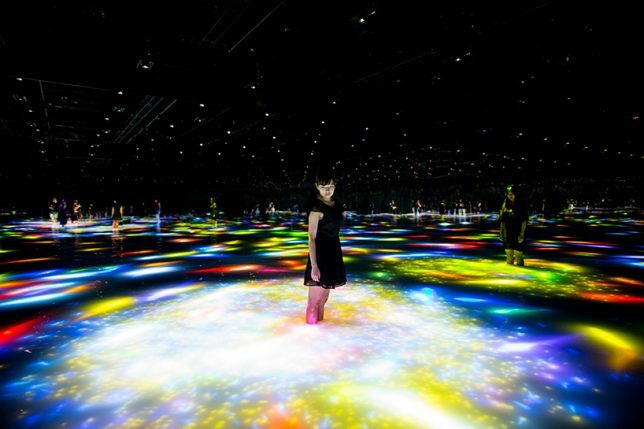 Visitors can further interact with the exhibit using their smartphones, selecting certain elements and enhancing them. 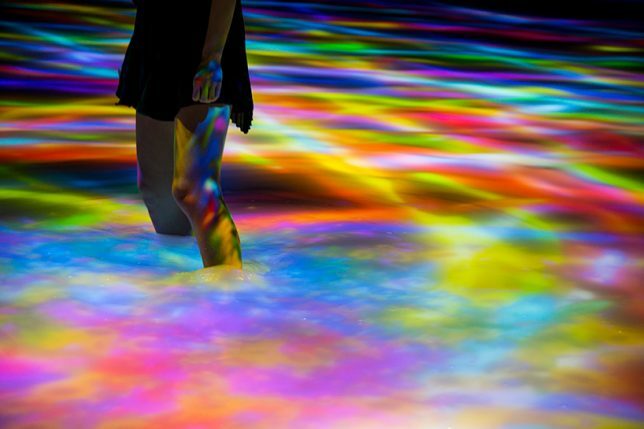 Equally enchanting is ‘Drawing on the Water Surface Created by the Dance of Koi and People – Infinity.’ In this case, visitors are walking into a pool of water, influencing the movement of projected koi.